This post is sponsored by Freshly Picked; All opinions expressed are my own. Last weekend, Dahlia attended her first party. 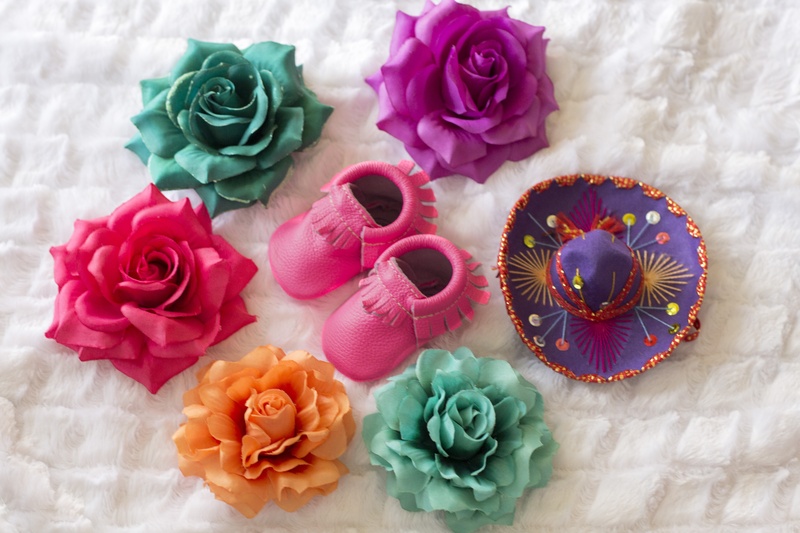 It was a Fiesta theme, and the host requested that guests dress up in bright colors. 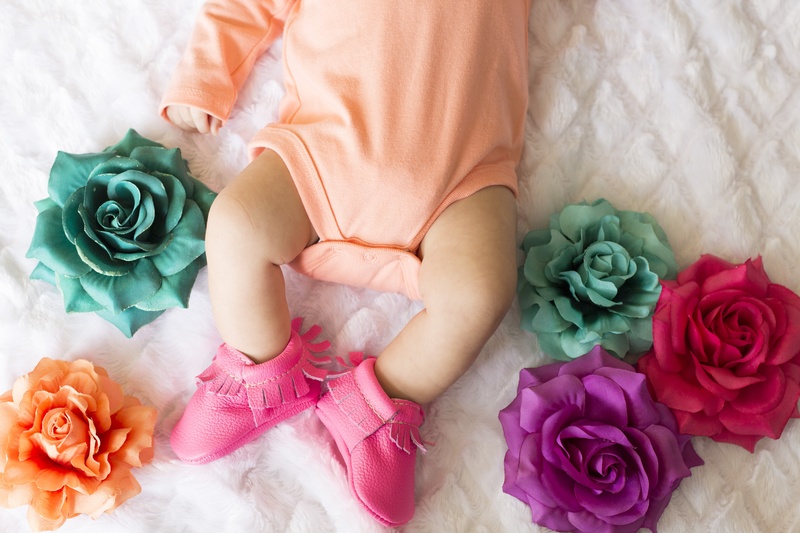 Because it’s been so rainy and cold in L.A, I was excited for the chance to get out of the house and dress up the baby for everyone to meet her. 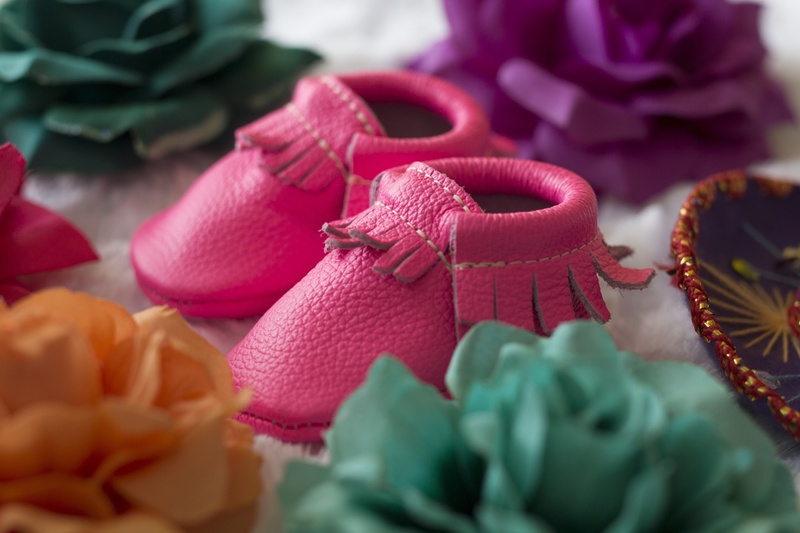 She had just received a brand new pair of neon pink Freshly Picked mocassins, and I knew they would be perfect for the fiesta. 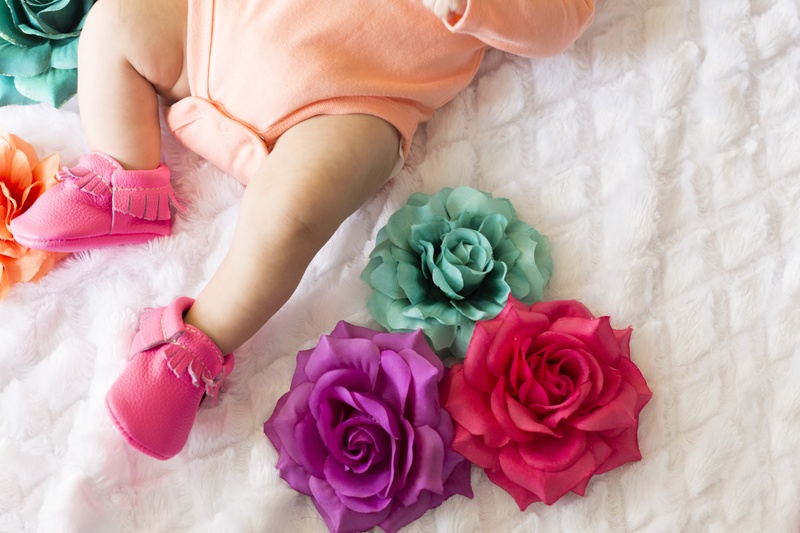 I paired the moccasins with an orange onesie “La Favorita De La Familia” (Our Family’s Favorite) and a huge statement rose hairpiece for laughs and baby cuteness. 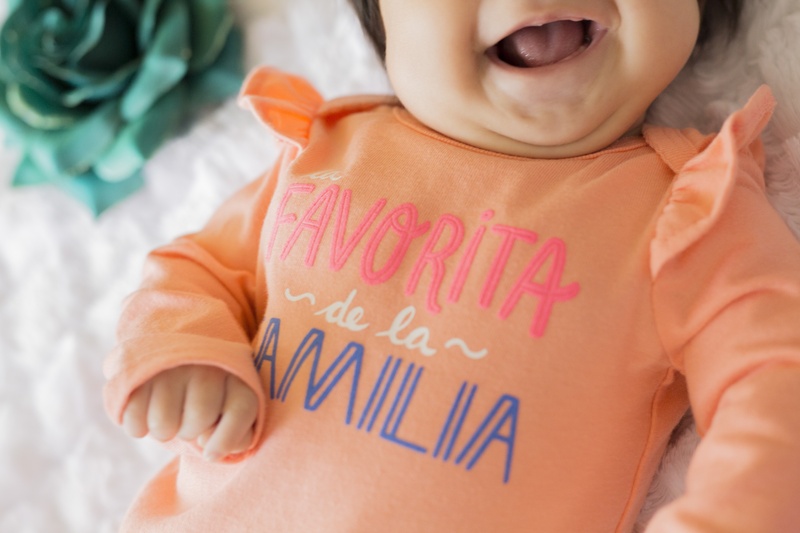 Of course, there is no truth to her being the favorite but who doesn’t love a funny quote! 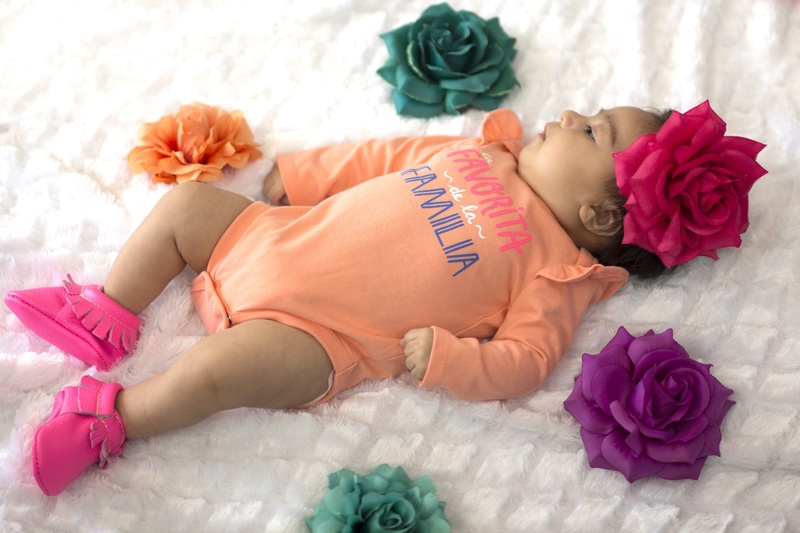 I had so much fun dressing up and taking pictures of my little senorita in her bright outfit. She was definitely the hit of the fiesta!